The private American rocket that exploded shortly after liftoff Tuesday evening, took along with it experiments from students from schools across the country. They got a hard, but real-life lesson in science this week. 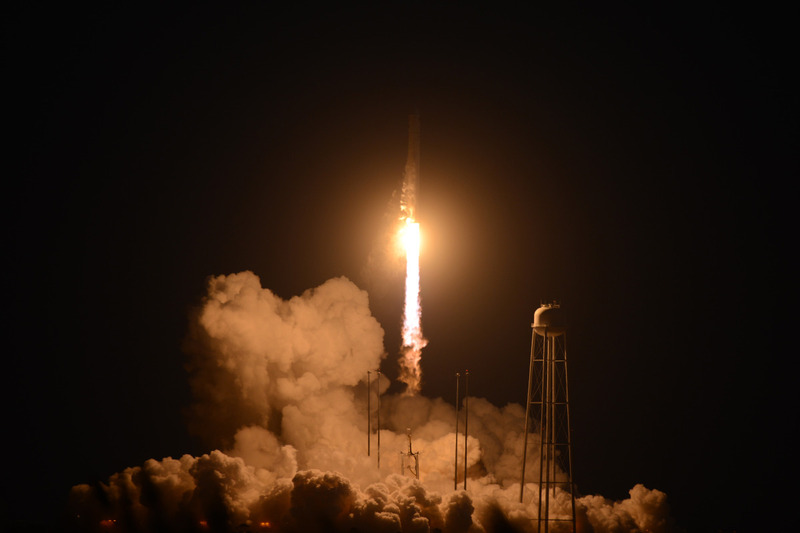 In this case, student science experiments blew up with the unmanned Antares rocket as it was launched Tuesday. Among the casualties were Oakland red worms, San Marino houseflies, Washington D.C. chrysanthemum seeds, Louisiana soybean seeds, New Jersey mosquito eggs and some Kalamazoo, Dry Lake fairy shrimp. Orbital Sciences Corp.’s two-stage rocket crashed in a fiery heap just seconds after launching from NASA’s Wallops Flight Facility in Virginia on Tuesday, ending an attempted cargo run to the International Space Station just seconds after it began. Antares’ first stage uses two AJ26 engines, which are refurbished variants of the NK-33 built by the Soviet Union for its ill-fated N-1 moon rocket during the height of the space race. While it’s unclear at the moment whether or not the AJ26 played any role in Tuesday’s mishap, the engines’ age and provenance has already stirred debate, as well as a bit of criticism. SpaceX and Orbital Sciences are competitors; both companies hold billion-dollar contracts to fly robotic cargo missions to the space station for NASA. To date, SpaceX has successfully completed four supply runs using its Dragon capsule and Falcon 9 rocket. Orbital had executed two such missions with Antares and its Cygnus spacecraft before Tuesday’s failure. Antares isn’t the only American rocket that incorporates Soviet or Russian tech. For example, United Launch Alliance’s Atlas 5 booster, which launches many payloads for the U.S. military and NASA, uses a Russian RD-180 engine in its first stage.